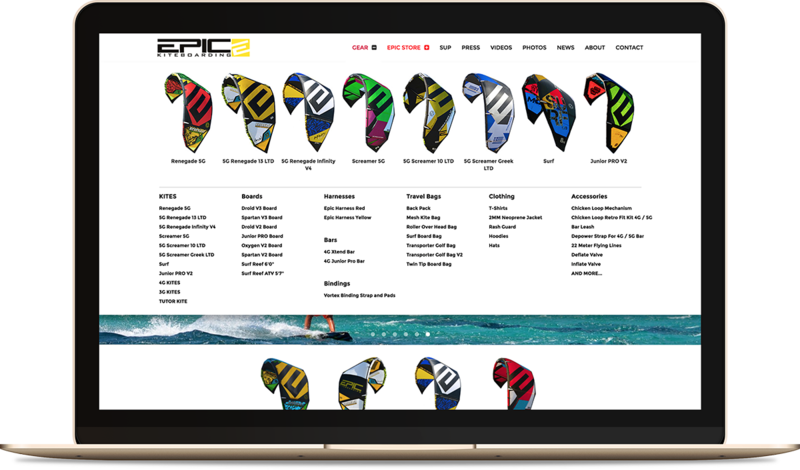 Epic Kites Kiteboarding was looking to create a truly Epic experience for their clients while browsing its website. By closely working with owner, Dimitri Maramenides, we created over 11 TB of video and drone footage showcasing the sport to clients via product and tutorial videos. The goal was to be insight driven and provide a stage for learning and demonstrating. 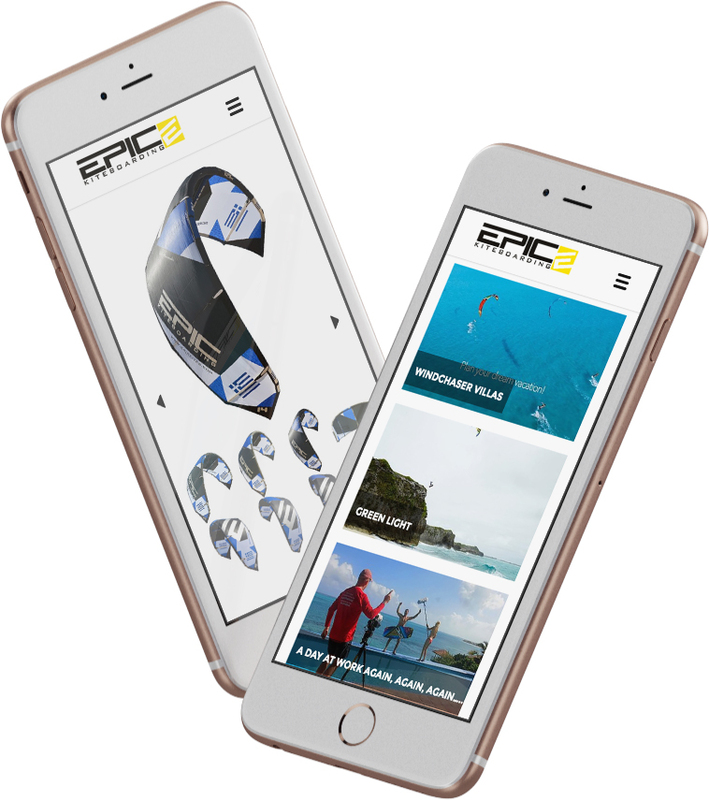 The Epic Kites platform offers options from viewing extensive descriptions of all kiteboarding products to photo galleries, instructional videos and a user-friendly shopping experience. By utilizing Content Delivery Network and Django framework we achieved a website that exceeded the expectations of the client and more importantly the clientele of Epic Kites Kiteboarding. The Epic Kites brand now enjoys visitors from 184 countries. 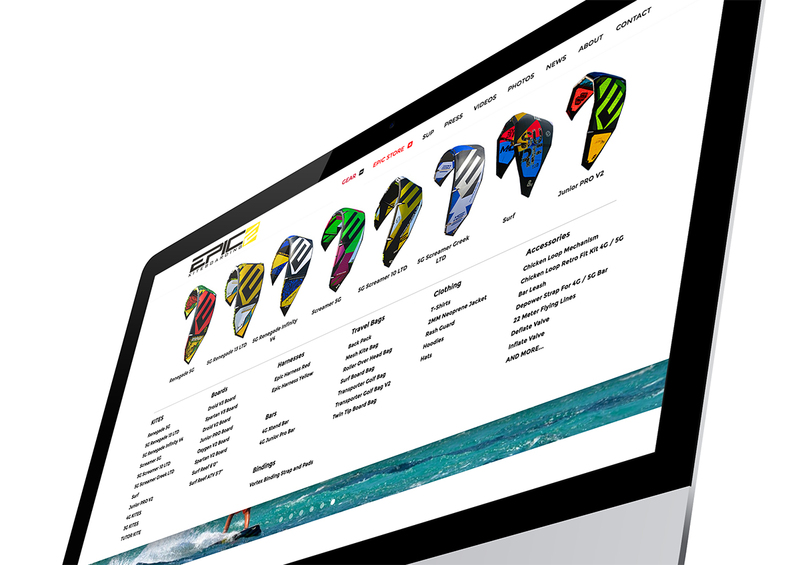 The Epic Kites Kiteboarding website was built with responsive design to be accessed via mobile and tablet devices. By accessing Admin panel via mobile or tablet the website can be edited while being on the road anytime by Epic Kites staff. Dimitri Maramenides, often hailed as the hardest working man in kiteboarding, and wife Helen Trotman, operate Epic Kites in conjunction with a talented team of professionals. This team values customers and their demand for equipment that meets their riding requirements, and service that exceeds their expectations – each and every time.